A beautifully made personalised wooden toy by GiveaGift. 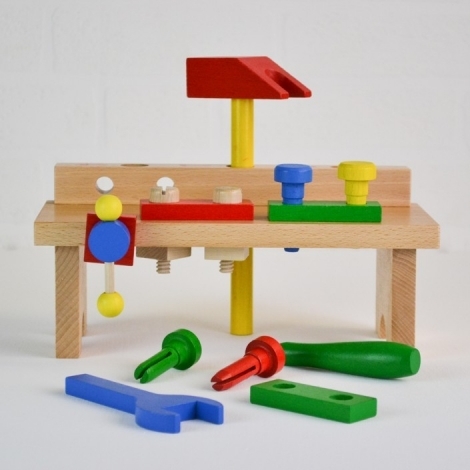 This solid toy tool bench complete with tools makes an extra special gift that never dates. 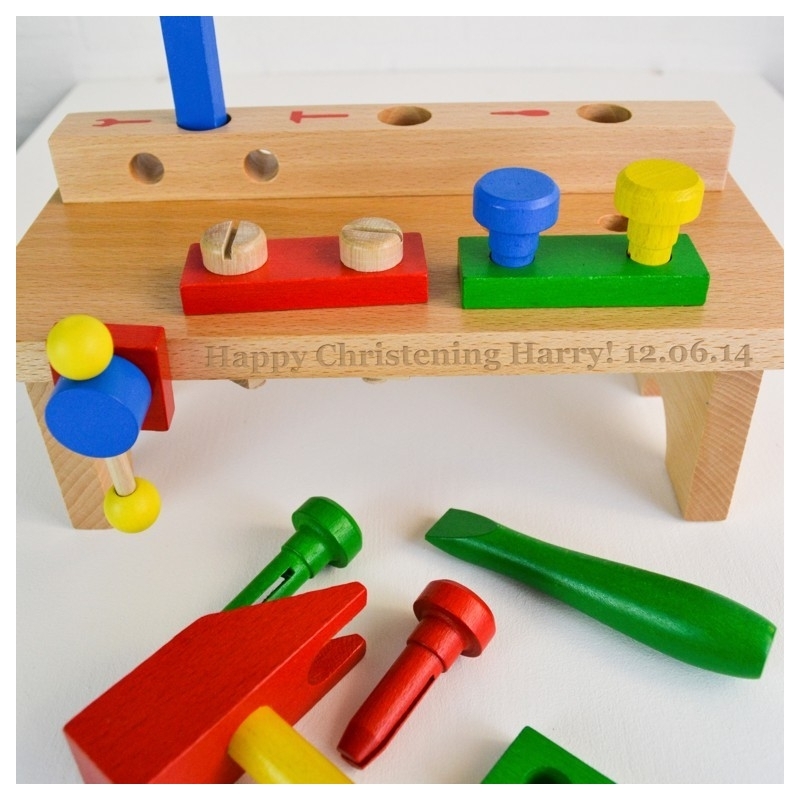 This beautiful personalised wooden toy tool bench makes such a fabulous gift as it features a hammer, screwdriver, wrench, vice, screws, nuts, and bolts all working that can be attached and tightened. 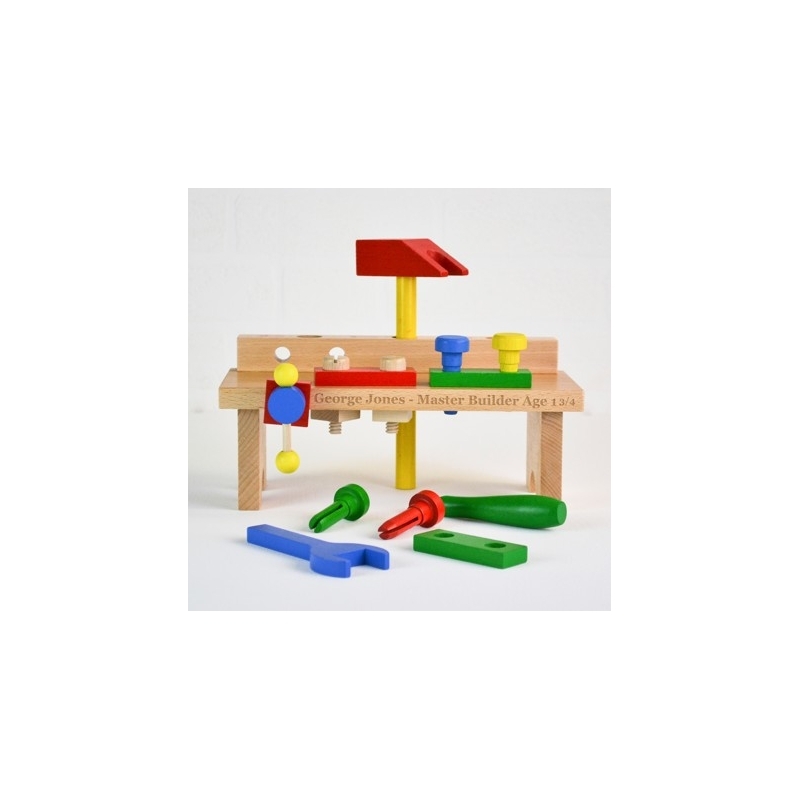 This not just a toy but also assists your child in the development of hand-to-eye co-ordination and problem solving. Some of the parts are hard to push into their holes and require use of the hammer - once hammered home they may also require the claw on the hammer to remove again - it's all good fun and learning potential. Perfect for new baby (as an ornament/memento), christenings, birthdays and Christmas, this toy will be treasured forever. 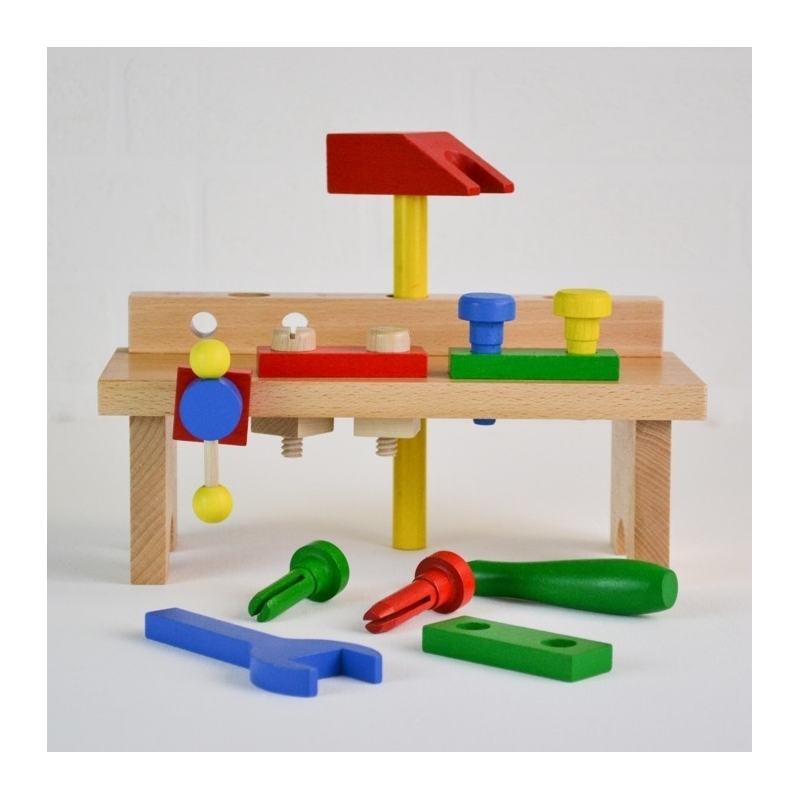 Hand crafted in Europe using sustainable wood, this toy will never go out of date and makes a refreshing change to anything technical and electronic! It conforms to European Safety standards and uses non-toxic paint. The engraving will go along the side, so please just select engraving and let us know what you would like on there. We recommend no more than around 70 letters including spaces to keep from the lettering going too small. Ultimately you must trust our judgment, to lay the text out in a format which we consider shows it off to best effect. if you'd like a proof prior to production or have any questions, please don’t hesitate to contact us. Why not have it gift wrapped in a cotton drawstring bag? PLEASE NOTE: This item has some fairly small parts and is therefore not recommended to be played with (UNSUPERVISED) with children under 3 years old.